Since its birth, KORG has strived to create unique and unconventional products, full of originality and different from anything else out there. This particular mentality translates as well to our product designs. By introducing revolutionary features that constantly infuse our original vision into our products, it is only natural that the design follows that same direction. Still, we keep in mind that even the most innovative products won’t make an impact if the users can’t intuitively perceive all the fun and enjoyment that they can provide. We believe that our products’ originality and uniqueness are born in the thin line separating innovation and the product’s essence. 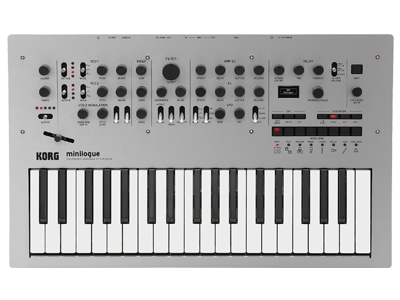 The minilogue is a polyphonic analog synthesizer whose circuit design can be traced back to the monotron, passing through the revival of the MS-20 and ARP ODDYSEY, and finally being redesigned from scratch. This design had actually been in development since much earlier as a separate proposal. Although it was a certain type of “analog synthesizer-like” design, there was a desire for its design concept to be a new-generation analog synthesizer rather than a revival, and this is why the design was redone from scratch. We made numerous sketches to help us bring the “new vintage” concept to life. The final idea was to re-think the idea of what the concept of “analog” is, for a new and fresh appearance. Considering that materials such as wood and metal were important for an “analog-like” character, we paid attention to the actual materials used for the instrument, and so decided to use real wood for the concept to be true to its roots. The appearance of an instrument is important, not only from the point of view of the performer, but also from that of the audience. Since we boldly used wooden panels on the back as well, the minilogue has an iconic appearance that is recognizable at a glance on a live performance stage occupied by numerous pieces of equipment. The aluminum panel describes a curve that sweeps upward from the front of the keyboard, and its silhouette gives the instrument a thin and sharp appearance that projects a futuristic atmosphere not typically associated with vintage synths. We have also paid attention to the quality of the aluminum, using a coarse blasted finish to accentuate the metallic luster. This aluminum panel is curved with a 1400 mm radius, so when we first drew a sketch of it, everybody told us that mass production would not be realistic [laughs]. During actual development, we experienced various problems; the curve would fail to be consistent, or would get bent into a crease. But thanks to the cooperation of the design and development team, and the people at the factory, we were able to bring it into reality. 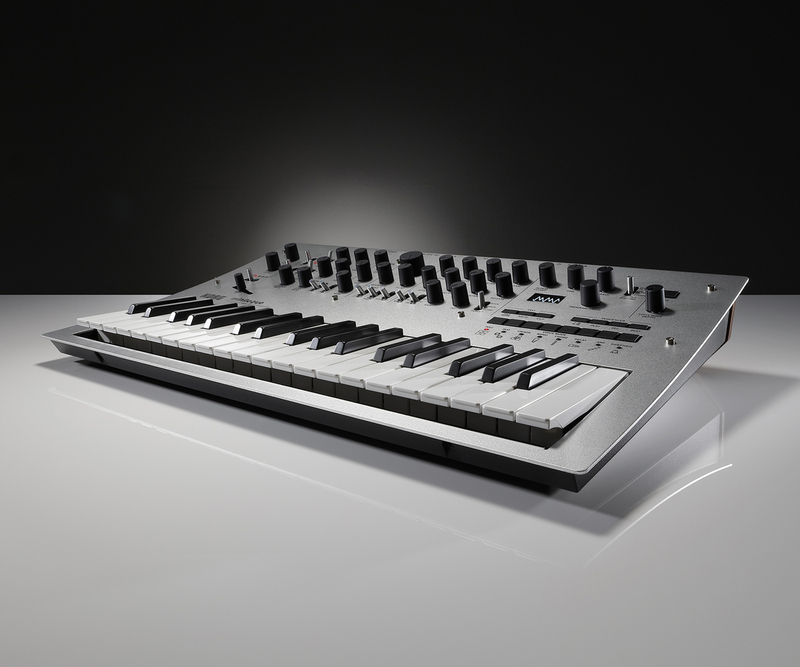 The minilogue is not only an instrument for keyboardists. Its controllers are arranged in a logical way that's easy to understand, it has an addictively enjoyable oscilloscope that displays the waveform, and features various functions including a step sequencer. We hope that it will become a familiar instrument to as many people as possible, and will enable them to experience the enjoyment of analog synthesizers.